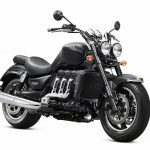 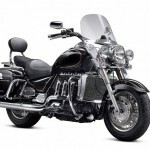 Triumph has updated its Rocket III cruiser for 2013, adding more blacked-out components and a new seat, but perhaps the most significant change is what Triumph took away: the electronic torque limiter. 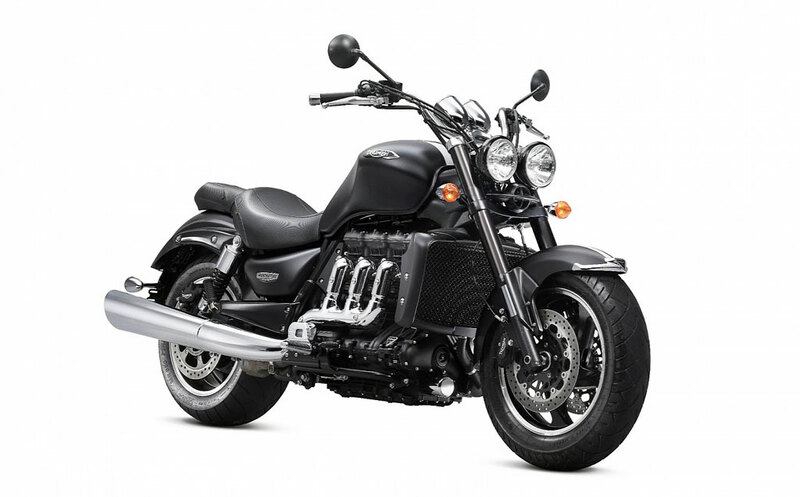 Previous versions of the Triumph Rocket III and the Rocket III Touring variant had its power and torque neutered in the first three gears. 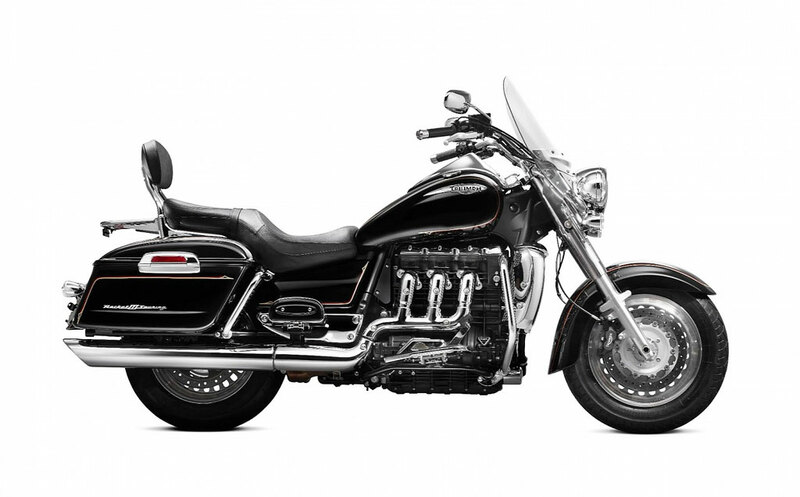 The reins are off for 2013 however, with the Rocket III’s 2294cc engine delivering full power in all gears. According to Triumph, the 2013 Rocket III offers 146 hp at 5750 rpm and 163 ft-lb. 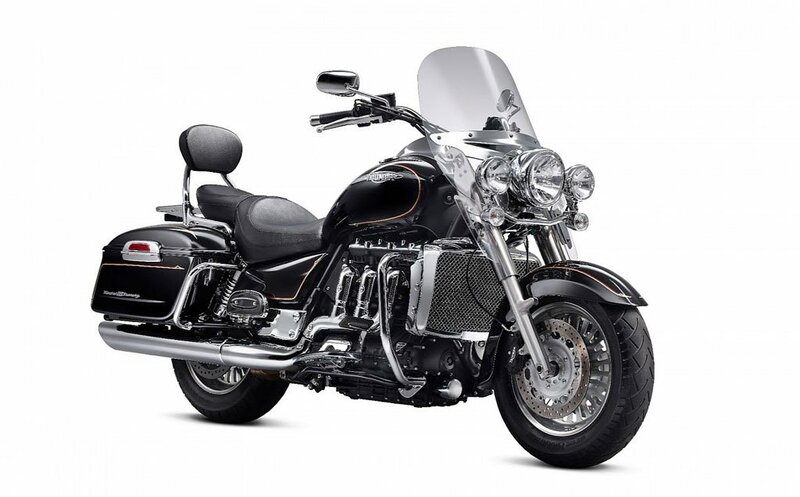 at 2750 rpm, the same specifications as the 2012 model, but without the restrictions in lower gears. 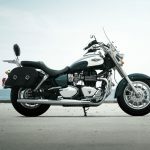 Previously, power was reduced by 2 hp in the first three gears while torque was reduced by a more dramatic 15.5 ft-lb. 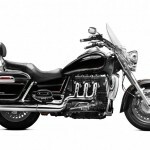 The Rocket III now has fewer chrome parts, with the shiny bits replaced with black components including new radiator caps, airbox cover, horn cover, headlight housing and mirrors. 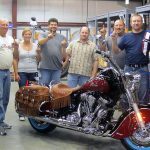 The blackened components are joined by the two color options, a Metallic Phantom Black with twin red center stripes and matte Phantom Black with twin white stripes. 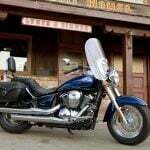 The Touring version still offers plenty of chrome and gets new chrome engine guards as well as a quick-release sissy bar with passenger backrest and new quick-release luggage rack. 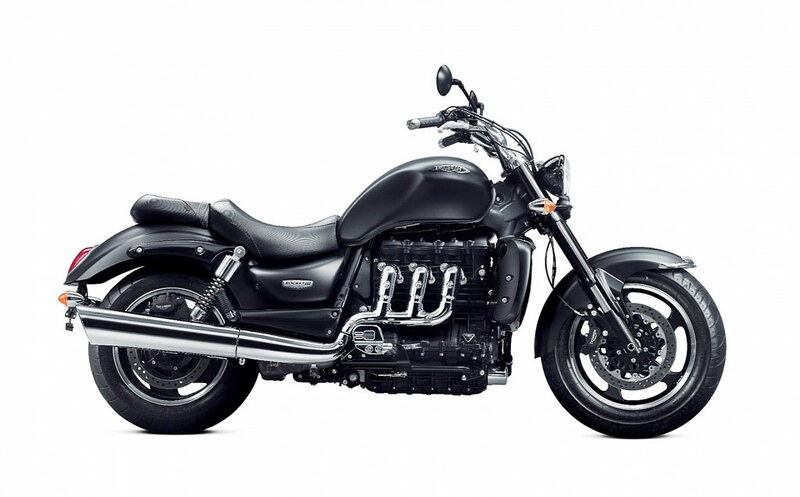 The 2013 Triumph Rocket III Touring’s engine offers less power than the regular Rocket III engine, claiming 105 hp at 6000 rpm and 150 ft-lb. 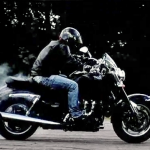 at 2500 rpm. 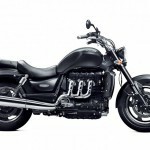 The 2013 Triumph Rocket III Touring will be offered in black cranberry red or black with twin gold striping.